This article is about transported goods. For other uses, see Cargo (disambiguation). "Freight" redirects here. For the price paid in a voyage charter, see Freight rate. In economics, cargo or freight are goods or produce being conveyed – generally for commercial gain – by ship, boat, or aircraft, although the term is now often extended to cover all types of freight, including that carried by train, van, truck, or intermodal container. The term cargo is also used in case of goods in the cold-chain, because the perishable inventory is always in transit towards a final end-use, even when it is held in cold storage or other similar climate-controlled facility. Automobiles are handled at many ports and are usually carried on specialized roll-on/roll-off ships. Break bulk cargo is typically material stacked on pallets and lifted into and out of the hold of a vessel by cranes on the dock or aboard the ship itself. The volume of break bulk cargo has declined dramatically worldwide as containerization has grown. One way to secure break bulk and freight in intermodal containers is by using Dunnage Bags. Bulk cargo, such as salt, oil, tallow, and scrap metal, is usually defined as commodities that are neither on pallets nor in containers. Bulk cargoes are not handled as individual pieces, the way heavy-lift and project cargoes are. 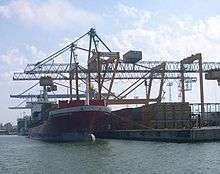 Alumina, grain, gypsum, logs, and wood chips, for instance, are bulk cargoes. Neo-bulk cargo comprises individual units that are counted as they are loaded and unloaded, in contrast to bulk cargo that is not counted, but that are not containerized. Containers are the largest and fastest growing cargo category at most ports worldwide. Containerized cargo includes everything from auto parts, machinery and manufacturing components to shoes and toys to frozen meat and seafood. Project cargo and the heavy lift cargo include items like manufacturing equipment, air conditioners, factory components, generators, wind turbines, military equipment, and almost any other oversized or overweight cargo which is too big or too heavy to fit into a container. Air cargo, commonly known as air freight, is collected by firms from shippers and delivered to customers. Aircraft were first used for carrying mail as cargo in 1911. Eventually manufacturers started designing aircraft for other types of freight as well. 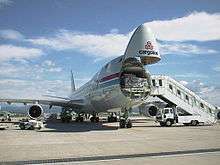 There are many commercial aircraft suitable for carrying cargo such as the Boeing 747 and the bigger An‑124, which was purposely built for easy conversion into a cargo aircraft. Such large aircraft employ quick-loading containers known as unit load devices (ULDs), much like containerized cargo ships. The ULDs are located in the front section of the aircraft. Most nations own and utilize large numbers of military cargo aircraft such as the C‑17 Globemaster III for logistical needs. Popular commercial aircraft transformed to a cargo aircraft such as Saab 340A is designed for high revenue and profitability in short / medium haul operations. Trains are capable of transporting a large number of containers that come from shipping ports. Trains are also used for the transportation of water, cement, grain, steel, wood and coal. They are used because they can carry a large amount and generally have a direct route to the destination. Under the right circumstances, freight transport by rail is more economic and energy efficient than by road, especially when carried in bulk or over long distances. The main disadvantage of rail freight is its lack of flexibility. For this reason, rail has lost much of the freight business to road transport. Rail freight is often subject to transshipment costs, since it must be transferred from one mode of transportation to another. Practices such as containerization aim at minimizing these costs. When transporting point-to-point bulk loads such as cement or grain, with specialised bulk handling facilities at the rail sidings, rail mode of transport remains the most convenient and preferred option. Many governments are currently trying to encourage shippers to use trains more often because of the environmental benefits. Many firms, like Parcelforce, FedEx and R+L Carriers transport all types of cargo by road. Delivering everything from letters to houses to cargo containers, these firms offer fast, sometimes same-day, delivery. A good example of road cargo is food, as supermarkets require deliveries daily to replenish their shelves with goods. Retailers and manufacturers of all kinds rely upon delivery trucks, be they full size semi trucks or smaller delivery vans. These smaller road haulage companies constantly strive for the best routes and prices to ship out their products. Indeed, the level of commercial freight transported by smaller businesses is often a good barometer of healthy economic development as it is these types of vehicles that move and transport literally anything, including couriers transporting parcel and mail. You can see the different types and weights of vehicles that are used to move cargo around. 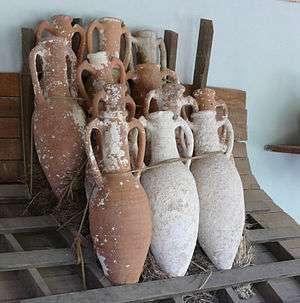 Household goods (HHG) include furniture, art and similar items. Very small business or personal items like envelopes are considered overnight express or express letter shipments. These shipments are rarely over a few kilograms or pounds and almost always travel in the carrier’s own packaging. Express shipments almost always travel some distance by air. An envelope may go coast to coast in the United States overnight or it may take several days, depending on the service options and prices chosen by the shipper. Larger items like small boxes are considered parcels or ground shipments. These shipments are rarely over 50 kg (110 lb), with no single piece of the shipment weighing more than about 70 kg (154 lb). Parcel shipments are always boxed, sometimes in the shipper’s packaging and sometimes in carrier-provided packaging. Service levels are again variable but most ground shipments will move about 800 to 1,100 kilometres (497 to 684 mi) per day. Depending on the origin of the package, it can travel from coast to coast in the United States in about four days. Parcel shipments rarely travel by air and typically move via road and rail. Parcels represent the majority of business-to-consumer (B2C) shipments. Beyond HHG, express, and parcel shipments, movements are termed freight shipments. Less than truckload (LTL) cargo is the first category of freight shipment, which represents the majority of freight shipments and the majority of business-to-business (B2B) shipments. LTL shipments are also often referred to as motor freight and the carriers involved are referred to as motor carriers. LTL shipments range from 50 to 7,000 kg (110 to 15,430 lb), being less than 2.5 to 8.5 m (8 ft 2.4 in to 27 ft 10.6 in) the majority of times. The average single piece of LTL freight is 600 kg (1,323 lb) and the size of a standard pallet. Long freight and/or large freight are subject to extreme length and cubic capacity surcharges. Trailers used in LTL can range from 28 to 53 ft (8.53 to 16.15 m). The standard for city deliveries is usually 48 ft (14.63 m). In tight and residential environments the 28 ft (8.53 m) trailer is used the most. The shipments are usually palletized, stretch [shrink]-wrapped and packaged for a mixed-freight environment. Unlike express or parcel, LTL shippers must provide their own packaging, as carriers do not provide any packaging supplies or assistance. However, circumstances may require crating or other substantial packaging. Boeing 777 freighter of Emirates arrives at London Heathrow Airport (2015). Air freight shipments are very similar to LTL shipments in terms of size and packaging requirements. However, air freight or air cargo shipments typically need to move at much faster speeds than 800 km or 497 mi per hour. Air shipments may be booked directly with the carriers, through brokers or with online marketplace services. While shipments move faster than standard LTL, air shipments don’t always actually move by air. In the United States, shipments larger than about 7,000 kg (15,432 lb) are typically classified as truckload (TL) freight. This is because it is more efficient and economical for a large shipment to have exclusive use of one larger trailer rather than share space on a smaller LTL trailer. By the Federal Bridge Gross Weight Formula the total weight of a loaded truck (tractor and trailer, 5-axle rig) cannot exceed 80000 lbs in the United States. In ordinary circumstances, long-haul equipment will weigh about 15,000 kg (33,069 lb), leaving about 20,000 kg (44,092 lb) of freight capacity. 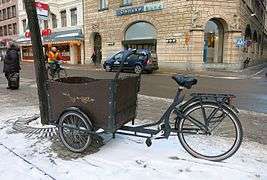 Similarly a load is limited to the space available in the trailer, normally 48 ft (14.63 m) or 53 ft (16.15 m) long, 2.6 m (102.4 in) wide, 2.7 m (8 ft 10.3 in) high and 13 ft 6 in or 4.11 m high over all. While express, parcel and LTL shipments are always intermingled with other shipments on a single piece of equipment and are typically reloaded across multiple pieces of equipment during their transport, TL shipments usually travel as the only shipment on a trailer. In fact, TL shipments usually deliver on exactly the same trailer as they are picked up on. Often, an LTL shipper may realize savings by utilizing a freight broker, online marketplace or other intermediary, instead of contracting directly with a trucking company. Brokers can shop the marketplace and obtain lower rates than most smaller shippers can obtain directly. In the LTL marketplace, intermediaries typically receive 50% to 80% discounts from published rates, where a small shipper may only be offered a 5% to 30% discount by the carrier. Intermediaries are licensed by the DOT and have requirements to provide proof of insurance. Truckload (TL) carriers usually charge a rate per kilometre or mile. The rate varies depending on the distance, geographic location of the delivery, items being shipped, equipment type required, and service times required. TL shipments usually receive a variety of surcharges very similar to those described for LTL shipments above. In the TL market, there are thousands more small carriers than in the LTL market. Therefore, the use of transportation intermediaries or brokers is extremely common. Another cost-saving method is facilitating pickups or deliveries at the carrier’s terminals. By doing this, shippers avoid any accessorial fees that might normally be charged for liftgate, residential pickup/delivery, inside pickup/delivery, or notifications/appointments. Carriers or intermediaries can provide shippers with the address and phone number for the closest shipping terminal to the origin and/or destination. Shipping experts optimize their service and costs by sampling rates from several carriers, brokers and online marketplaces. When obtaining rates from different providers, shippers may find a wide range in the pricing offered. If a shipper in the United States uses a broker, freight forwarder or other transportation intermediary, it is common for the shipper to receive a copy of the carrier's Federal Operating Authority. Freight brokers and intermediaries are also required by Federal Law to be licensed by the Federal Highway Administration. Experienced shippers avoid unlicensed brokers and forwarders because if brokers are working outside the law by not having a Federal Operating License, the shipper has no protection in the event of a problem. Also, shippers normally ask for a copy of the broker's insurance certificate and any specific insurance that applies to the shipment. Governments are very concerned with the shipment of cargo, as it may bring security risks to a country. Therefore, many governments have enacted rules and regulations, administered by a customs agency, to the handling of cargo to minimize risks of terrorism and other crime. Governments are particularly concerned with cargo entering through a country's borders. The United States has been one of the leaders in securing cargo. They see cargo as a concern to national security. After the terrorist attacks of September 11th, the security of this magnitude of cargo has become highlighted on the over 6 million cargo containers enter the United States ports each year. The latest US Government response to this threat is the CSI: Container Security Initiative. CSI is a program intended to help increase security for containerised cargo shipped to the United States from around the world. Europe is also focusing on this issue, with a number of EU-funded projects underway. There are many different ways and materials available to stabilize and secure cargo in various modes of transport. Conventional load securing methods and materials such as steel strapping and plastic/wood blocking & bracing have been used for decades and are still widely used. Present load securing methods offer several other options including polyester strapping and lashing, synthetic webbings and dunnage bags, also known as air bags or inflatable bags. Practical advise on stabilization is given in the International Guidelines on Safe Load Securing for Road Transport. ↑ Chisholm, Hugh, ed. (1911). "Cargo". Encyclopædia Britannica (11th ed.). Cambridge University Press. ↑ CambridgeSystematics 1998, pp. 79. ↑ "An example of a British commercial freight forwarding agency.". Freightlink. Archived from the original on 10 February 2014. Retrieved 12 January 2014. ↑ "Transportation is a crucial driver of economic growth and poverty reduction.". The World Bank. Retrieved 14 April 2013. ↑ CSI: Container Security Initiative Archived October 10, 2006, at the Wayback Machine. * Cambridge Systematics (1998). Multimodal corridor and capacity analysis manual. Transportation Research Board. ISBN 978-0-309-06072-1.